RTC is also called Real time clock.Its a silver color or steel color Crystal. Mostly cylindrical or oval shape on desktop motherboard. 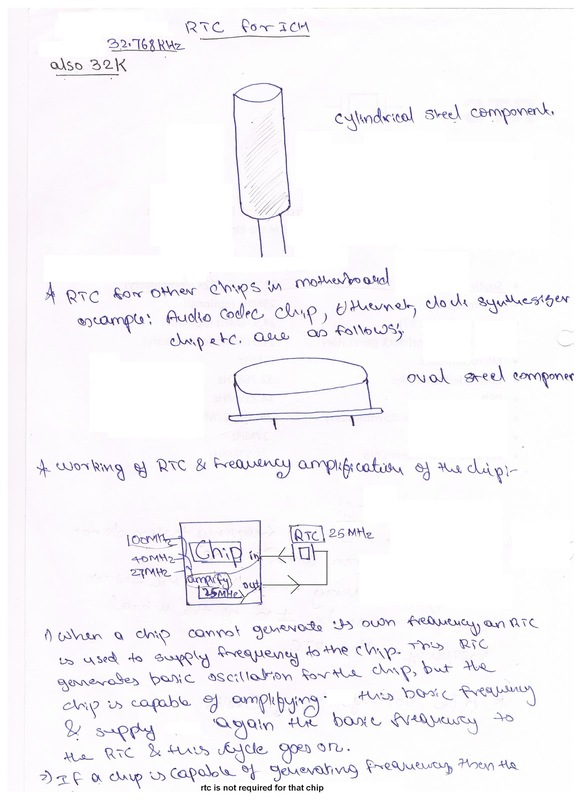 RTC is required to generate frequency for the chip.If the particular chip is able to generate its own frequency then RTC is not required for that chip. Function of RTC is similar on both Laptop and Desktop motherboard. Also the RTC requirement is similar on desktop and Laptop motherboards. Testing RTC is not at all difficult. Just you need to have proper frequency testing meter. The unit for RTC measurement is Hertz known as Hz on meter. While testing RTC using frequency tester,do not connect COM ( black Probe) any where.Only red problem has to be connected RTC in and out pin. 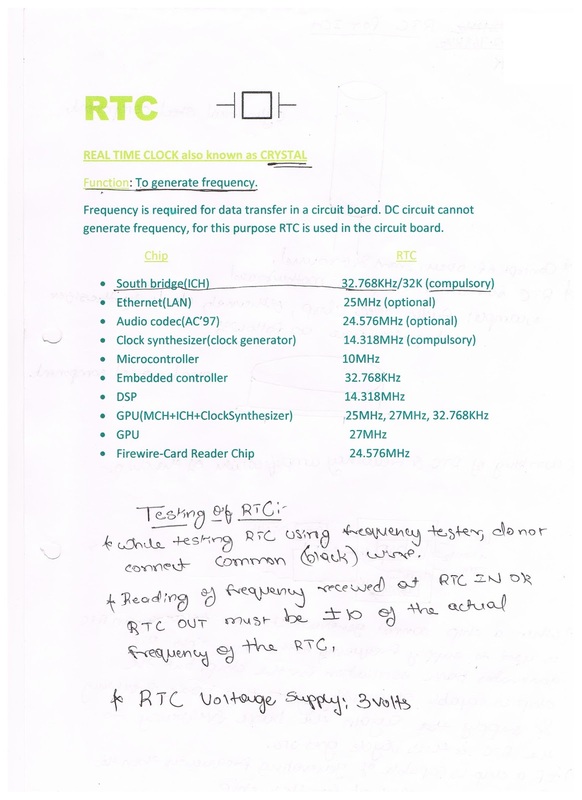 Reading of frequency received on RTC in or out most be + or - 10 of the actual frequency of RTC. RTC voltage supply is 3 volts.